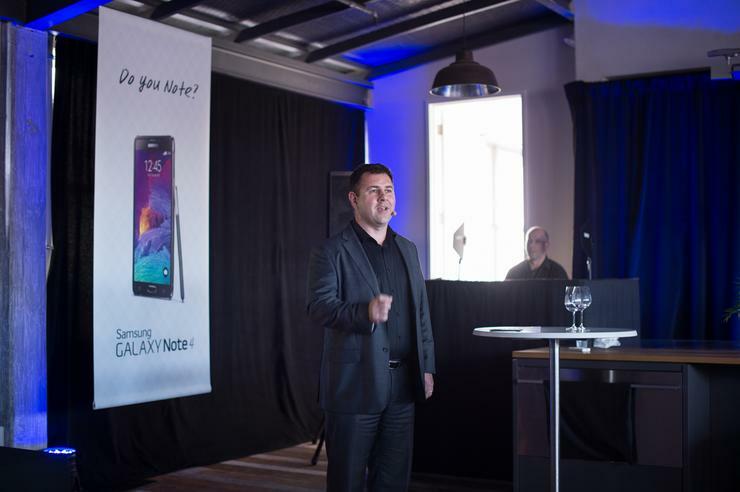 Samsung has officially unveiled the Galaxy Note 4 in New Zealand, with the smartphone set to be available in-store from telecommunications companies and selected retailers from October 17. Showcased at a media event in Auckland last night, the tech giant says the Galaxy Note 4 “raises the bar” in the smartphone space, displaying a raft of new features. “We’ve been eagerly awaiting the global release of the Note 4,” says Stefan Lecchi, Head of Telecommunications, Samsung New Zealand. “We’re looking forward to seeing New Zealanders embrace a phone that unleashes their creativity – whether that’s shooting a stunning view of the ocean as the sun rises first in the world, or penning a note with the amazing new S-Pen in a variety of calligraphic styles. Coming in at a RRP of $1,149, Samsung New Zealand Managing Director Mike Cornwell says the company are encoring artistic Kiwis such as Taika Waititi to trial the Note 4. “The amazing screen, camera and the S-Pen mean that people like Taika can capture things that inspire them, make their own notes and easily share the output with the people around them,” he adds.